Common Terms to Include in a Divorce Settlement - Crooks, Low & Connell, S.C. 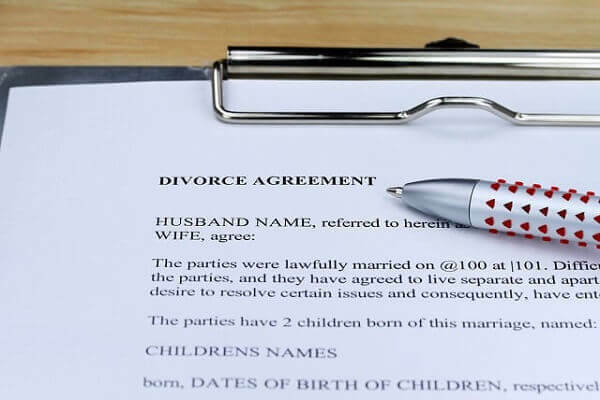 If you and your spouse are able to resolve your differences out of court – whether through mediation, collaborative methods, or informal negotiations – the terms of your divorce will be established in a written document known as a Marital Settlement Agreement. Regardless of the simplicity or complexity of your divorce, it is imperative that your Marital Settlement Agreement be as thorough as possible. Even when both spouses made a mistake, it can often be difficult to modify the terms of a Marital Settlement Agreement once it has been approved by the court, and the last thing you want is to get into a dispute with your former spouse after thinking that your divorce is over. Debts must be divided during the divorce process as well. While it will often make sense for the spouse who receives a particular asset (i.e. the family home) to also accept liability for the related debt (i.e. the mortgage), this is not always as straightforward as it sounds. Among other issues, even if spouses agree that one will take on sole responsibility for a joint debt, as a general rule, the joint creditor can still seek to collect from both spouses in the event of a default. Which spouse will pay alimony? What conditions (if any) can result in termination of maintenance? If you would like more information about issues you will need to address during your divorce, we encourage you to schedule a confidential consultation. To speak with an experienced family law attorney at our offices in Wausau, WI, please call (715) 842-2291 or request an appointment online today.